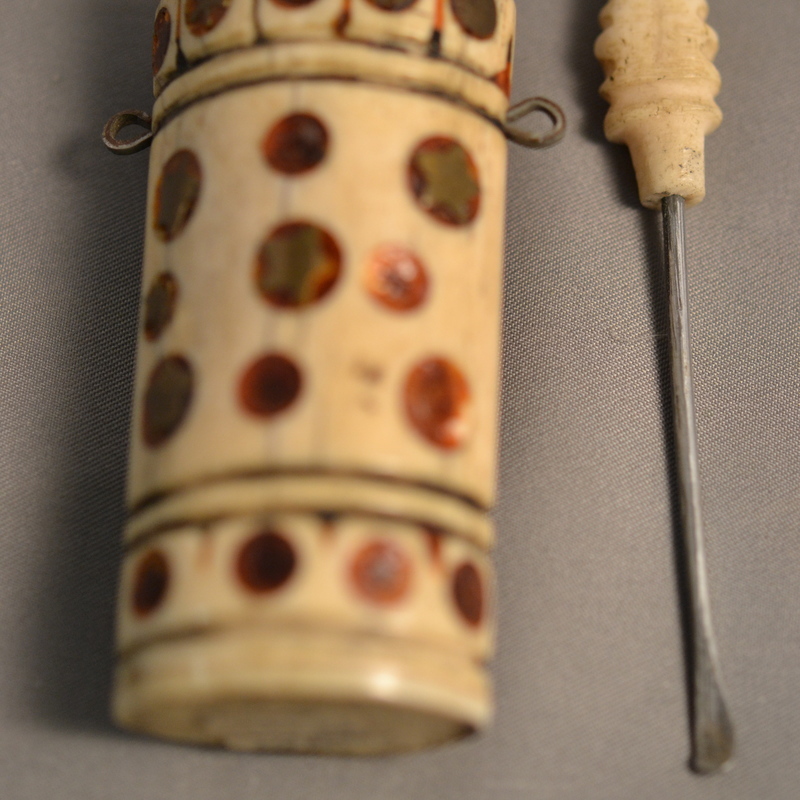 Ivory with inlaid metals and incised decoration, handled 'spoon' that is removable. c. 3-3/4" h. x 1-1/4" w. x 1' d.
Tibetan or Nepalese Yak bone ( i do not think this is Ivory ) snuff bottle with inlay of metal and glass or other colorful material ( amber like material ). Date-wise; mid 20th century. The small metal rings are attached for small metal chains, one for decorative purposes and the other one for securing the spoon to the bottle so it wouldn't get lost. These snuff bottles are made for tourist and are also sold in China in quite large amounts. These snuff bottles are made for tourist from early 20th century onwards and are mainly lovely souvenirs although some are really ben used by Locals I'm sure.